I have spent most of my adult life living in three European countries. Each move involved creating a new life for myself. Personally, I find it exciting to arrive somewhere new and to navigate a new culture, communicate in a foreign language without having a support system in place. Something inside of me knows that if I did it once, I can do it again. It’s never easy, of course, but I do know what I need to do for me to be comfortable. I know the road might get a little bumpy and things won’t always go my way, but the success of feeling truly at home in a new location is an amazing reward. 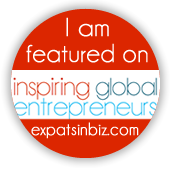 When I look back at my life as an expat, I am happy by how living overseas has enriched my life and me. I am now much more aware of the world around me, I embrace diversity, I am more sincere with myself and others, I trust my intuition, I accept things as they are, and I cultivate my own happiness. It’s a thrill to arrive in a new location because I become acutely aware of my surroundings and my senses wake up as if for the first time. When I first arrived in Paris right after graduating university, I felt as if my heart and mind had burst open simultaneously. Everywhere I looked, there was something new to discover. It was exhausting after a while and soon I became accustomed to my surroundings. So much so that seeing the Eiffel Tower or a Bateaux Mouches floating on the Seine became normal. 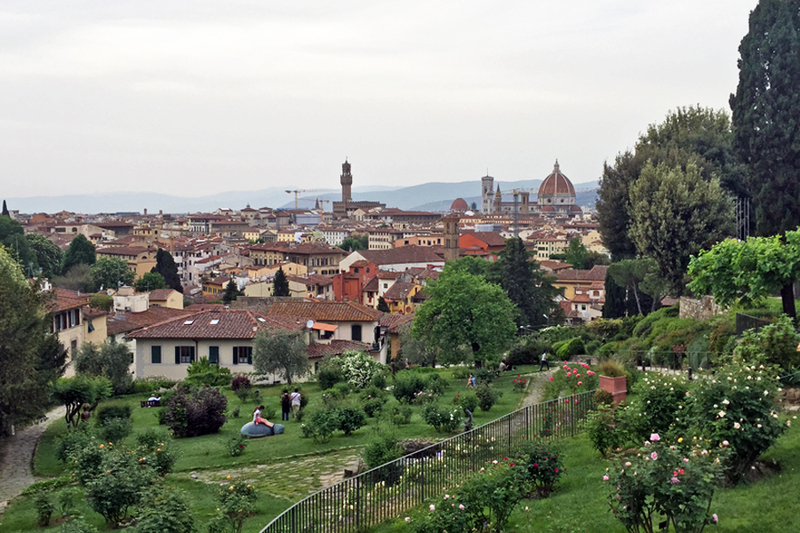 It wasn’t until I moved to Florence years later that I promised myself to not let that happen again. I made a choice to keep my sense of wonder alive by looking at my surroundings with an open heart. Some believe that it’s a gift to live in a beautiful place, but the true gift is finding beauty every day in the place where you live. One of the things I love about living overseas is being able to meet so many people with different cultures, backgrounds, and points of view. It has been an enriching experience to speak with people with a different perspective or lifestyle instead of trying to validate my own as if it were the only way. I tend to navigate my new homes alone as much as possible because it allows me to be more open with others. I have met so many interesting people who have taught me a lot of different things. When we broaden our perspective, we more easily accept people and places in their entirety. With that acceptance comes a great level of peace and harmony in our lives. Each time I moved to a new location, I discovered that I had a unique opportunity to present myself as I truly am instead of who I thought I was or even whom others told me I was. When I was living in Paris, I became more conscious about the masks I put on while interacting with others and realized that they were hindering my relationships. In Paris, I didn’t feel the pressure to put my best foot forward as I did in my home country. The locals accepted me for who I was and encouraged me to reveal my “petits défauts” (shortcomings). Honoring my strengths and weaknesses as well as those in others has allowed me to be more sincere with myself and in all my relationships. When I moved to Florence, I was not only exposed to new people, situations, and surroundings, but also to a new language. Since I didn’t learn Italian until I arrived, I had to really set aside my judgments about a person because I couldn’t really know them without speaking the same language, literally. I began to “feel” people a bit more and not rely on appearances or jobs as way to know a person. It became quite useful to tap more into my intuition because I met some truly lovely people by just being completely open and not relying on any preconceived notions I might have had about them. Through all my expat experiences, I have learned that it’s not my job to like everything. However, it is my job to accept everything. When I was living in England, it was a bit more challenging for me because while I thought. I noticed that if I paid attention to what I didn’t like, I created a sense of separation between my home and me. My expat life felt like a battle between “me” and “them.” After not feeling content with the struggle, I chose a new strategy. I now choose to accept each location’s positive and negative aspects, focus more on the aspects I like, and ignore the aspects I don’t. The moment I chose acceptance over judgment, my entire expat life changed. Instead of feeling separate from my home and the locals, I felt more connected to them. Probably the most important gift I received while living overseas was learning how to cultivate my own happiness. I used to believe that I’d be happy if I found the right place to live, if things worked out the way I wanted them to, and if I had the right friends and love interest. If something wasn’t “right,” I wasn’t happy. I didn’t choose to live in England and instead moved there to be with my then boyfriend. It wasn’t until we broke up and I lived there by myself that I realized that I could’ve been happier this whole time. I dove deeper into the country and found so much about the culture and people that I loved. Thanks to this experience, I learned that I must choose to be happy and find things that sustain my happiness instead of searching for something outside of me to make me happy. Becoming an expat is not about adapting to the world around you; it’s about integrating yourself into the world in which you live and receiving the gifts it offers you. Ultimately, being an expat isn’t only about discovering all the details about a country, learning another language, understanding a different culture, and meeting new people; it’s also about discovering who you truly are, accepting all aspects of you, and cultivating your own happiness wherever you are. 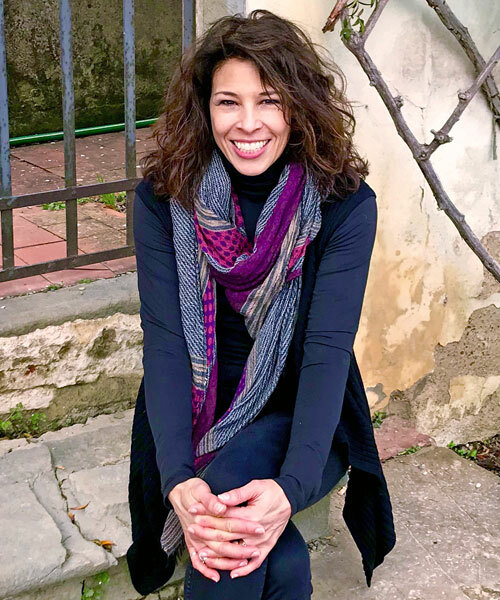 Melinda Gallo, originally from California, has been an expat for over 20 years. Initially, she lived in Paris and London before moving to Florence permanently in 2004. 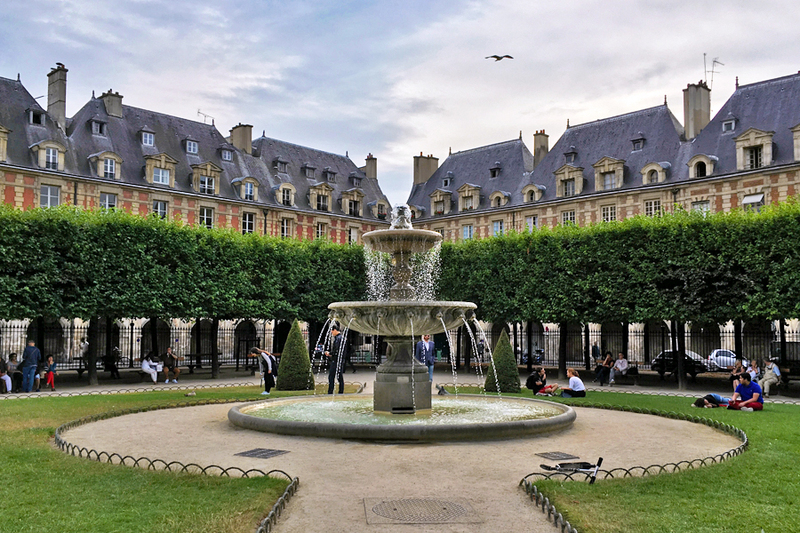 For five years, she split her time between Florence and Paris where she worked as a technical writer for a French software company. Three years ago, she became a full-time writer and is now working on a few different writing projects. In a continual quest to keep the love alive for her “beloved city” and the world around her, she takes photos of the beauty she experiences in Florence and wherever else she finds herself. Find out more at: www.melindagallo.com. Copyright © 2018 Global Living Magazine, All rights reserved. Unauthorized use and/or duplication of this material without express and written permission from Global Living Magazine is strictly prohibited. Excerpts and links may be used, provided that full and clear credit is given to Global Living Magazine and www.globallivingmagazine.com with appropriate and specific direction to the original content.